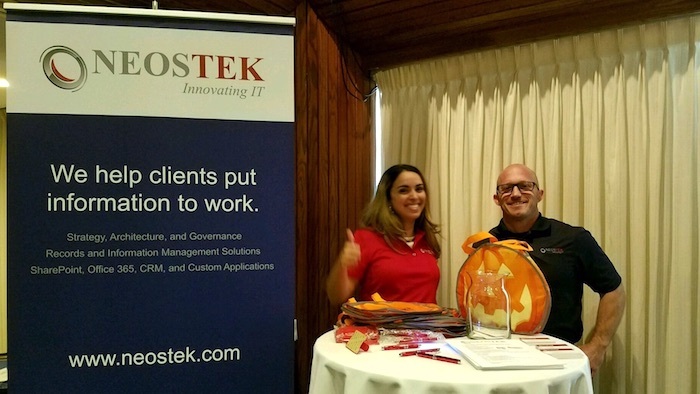 On October 4, 2016, NEOSTEK was a sponsor of the AIIM Seminar “Information @ Work” in Washington, D.C. at the National Press Club. This was a great local event for information professionals and leaders working in both the public and private sectors. What does our business do, and what internal and external information types and processes support our work? What information management pain points do we experience, and what must we excel at to do our work better? What is the vision for how our organization uses information to best support our strategic corporate initiatives, and what steps must we take to achieve that vision? How do we measure our information management successes (and failures) and practice continuous improvement? NEOSTEK can help you ask and answer questions like these. We specialize in information strategy, architecture, and governance, as well as enterprise IT solutions that enable your strategic business goals. See our services. 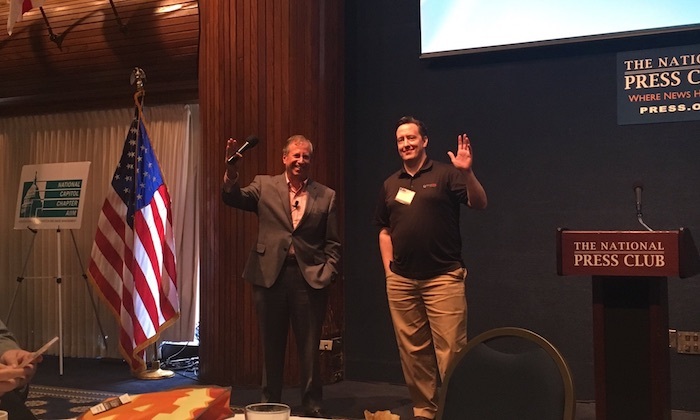 NEOSTEK is proud to be an AIIM member company. See our page in the AIIM Buyer’s Guide.